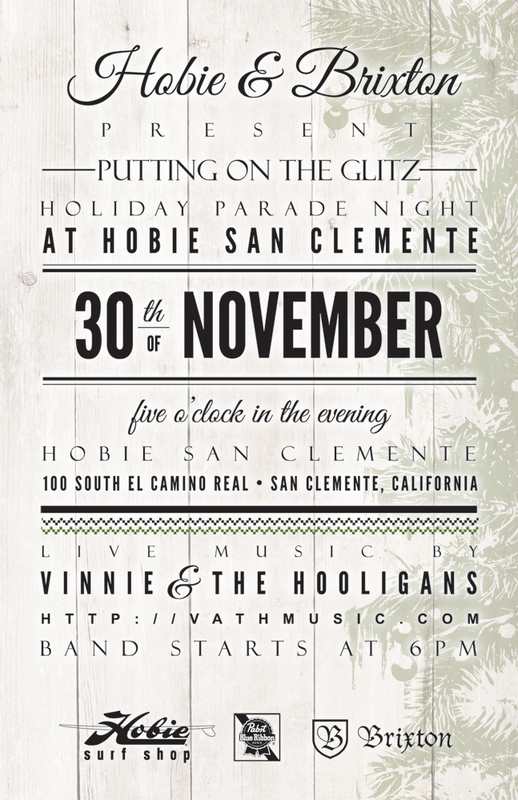 Hobie Shop :: Vinnie & The Hooligans LIVE at San Clemente Hobie!!!!! Start the Holiday Season Off Right…..
We are going to keep this one short & simple…. Then this night is for you! Join Hobie + Brixton + Vinnie & The Hooligans on Saturday the 30th of November at our shop as the city of San Clemente presents “Putting on the Glitz“. The band starts at 6pm, the beer goes till it’s gone. Come down and start your holidays off right!! We are very happy to present this video of our original song “To the Grave”. This was recorded, unplugged, on the rooftop of Coach House in San Juan. We would like to give a big thank-you to our friend Mitch Fait with Trick Pony Productions for his hard work in pulling this together for us. We hope you enjoy, and if you like this awesome roof top jam, come see us at one of our shows! Folk Yea! Vinnie and the Hooligans take cues from bluegrass, rock n’ roll, alternative, blues and all sounds American to create a gritty, rootsy sound that you can’t help but stomp your boot to. 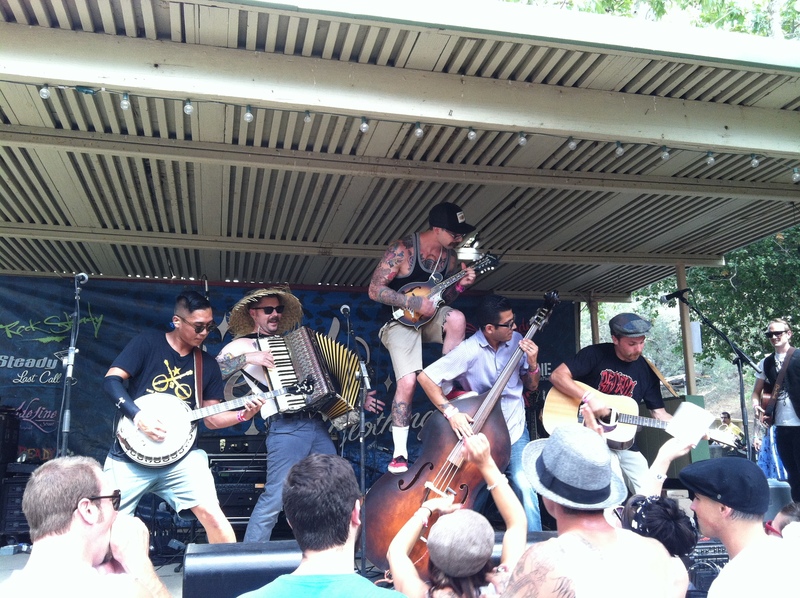 We are a string band from Orange County, Ca. Five fine men providing music for the working class. This entry was posted in Hobie Shop and tagged blog, brixton, california, hobie, Hobie Shop, Hobie surf, Hobie Surf Shop, live music, San Clemente, san clemente downtown, san clemente putting on the glitz 2013, shop, style, surf shop, surf shop blog, surfshops, throwback style, vinnie and the hooligans. Bookmark the permalink. ← Hobie Shop :: “Hobie : Master of Water, Wind and Waves” Book Available for Pre-Order! !